Why do the neutral Swiss love military conscription so much? 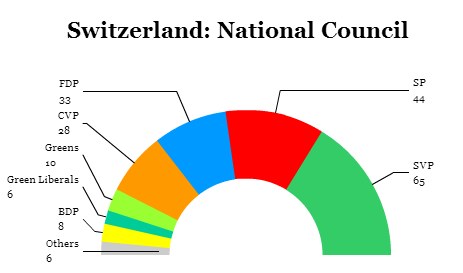 With most of my writing efforts focused on Germany for the past week, I neglected to spend much time writing (or thinking) about last weekend’s referendum in Switzerland, where voters once again rejected an effort to abolish mandatory conscription in the Swiss military. 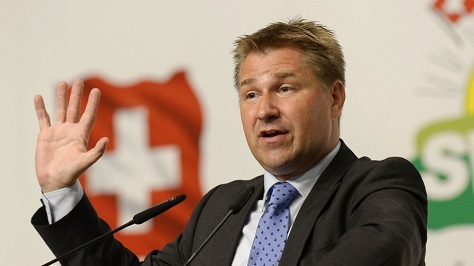 Swiss voters overwhelmingly opposed abolition — by a vote of 73.2% to 26.8%. 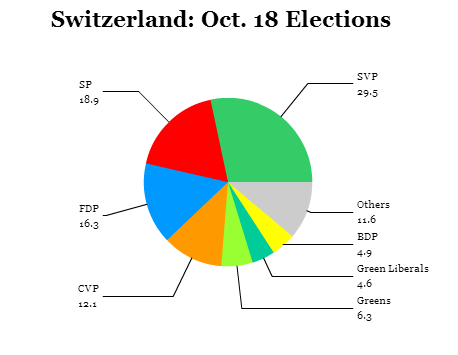 It’s a pretty staggering defeat for the anti-conscription and pacifist forces in Switzerland — in December 2001, 21.9% of the electorate voted to replace the Swiss army with a more benign peace force, and in November 1989, fully 35.6% of the electorate voted to abolish the Swiss army altogether. Why would the Swiss cling so tenaciously to its military force? After all, the Swiss army fought its last war in the Napoleonic Wars in alliance with Great Britain and Russia — and that war ended in 1815. Its tradition of neutrality in international affairs is so strong that it’s not a member of the European Union (though it is part of the European single market and a party to the Schengen free-travel zone) and it joined the United Nations only in 2002. At the outset, it’s important to keep in mind that conscription in Switzerland isn’t exactly the same thing as, say, the three-year tour of duty that most Israeli men begin at age 18 (it’s two years for Israeli women). 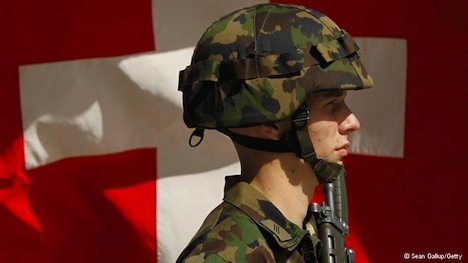 From an economic standpoint, there are opportunity costs to maintaining Swiss conscription, but those costs are far smaller than in a place like Israel because the Swiss conscription commitment is so much smaller. But there’s also a difference in the nature of the risk as well. Since 2007, Swiss conscripts aren’t even issued a box of ammunition. The risks of a shooting war with neighboring Austria aren’t exactly the same as the very real risks of any number of security challenges that conscripts in the Israeli Defense Forces could face — and have faced in Lebanon and from the Shiite Lebanese group Hezbollah and the Palestinian group Hamas in recent years. There’s also something to the idea that mandatory conscription forces governments to think harder about the consequences of deploying troops into foreign misadventures. There’s a reason why antiwar Democrats in the 2000s in the United States kept pushing for the reintroduction of a military draft — it’s a way to force all segments of society to feel the gravity of military engagement, and it increases the political costs of putting your military forces in the line of danger. Nonetheless, it’s hard to believe that, but for conscription, Switzerland would have otherwise spent the 20th century engaged in ill-advised martial exercises. 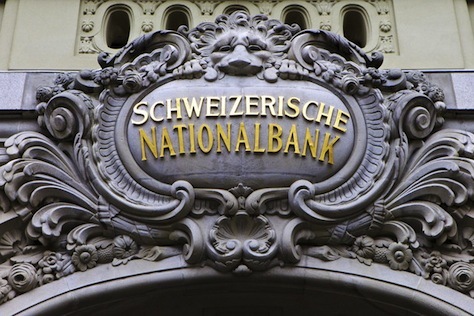 (Nor is it necessarily credible that the Swiss army effectively deterred an invasion from Nazi Germany — instead, there’s mounting evidence that the Swiss and their banks were complicit with the Nazi regime). 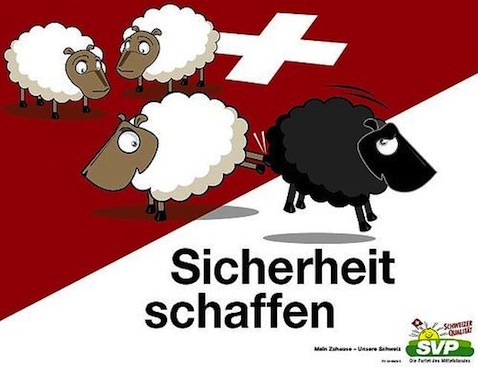 It’s also important to remember that Switzerland is a federal confederation of 26 highly autonomous cantons with four language-speaking groups of citizens — German, French, Italian and Romansh. The conscription requirement is a way to pull together young individuals from Switzerland’s multiple traditions, so you can think of conscription as less a military obligation and more of a nation-building exercise — or even an exercise in personal and social growth. There’s something to this, too. Since the end of the Lebanese civil war, the Lebanese military has had this effect, and it’s helped contribute to the wide respect that the military holds in Lebanon. Military service in the United States during World War II brought together young men from very different parts of the country and served as a key catalyst in isolating the American south’s segregation — if black men were capable of fighting and dying in Europe, why shouldn’t they have the same rights as everyone else? Though conscription in the Yugoslav People’s Army until 1992 didn’t stop the disintegration of the Balkans, imagine how much stronger Bosnia and Herzegovina might be today if it instituted the tradition of conscription in a nation-building peacekeeping force. Is the European ‘Christian democracy’ party model dead? 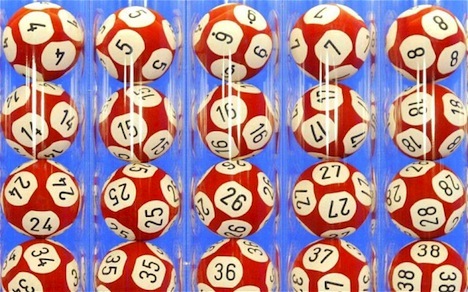 When Dutch voters go to the polls on September 12, we don’t know whether they’ll favor prime minister Mark Rutte’s Volkspartij voor Vrijheid en Democratie (VVD, the People’s Party for Freedom and Democracy) or Emile Roemer’s Socialistische Partij (SP, the Socialist Party) or even Diederik Samsom’s Partij van de Arbeid (PvdA, the Labour Party) as their top choice. What we do know is that the election could well be the worst post-war finish for the traditional Christian Democratic party in the Netherlands, the Christen-Democratisch Appèl (CDA, Christian Democratic Appeal). It’s currently on track to finish in fifth place (or even sixth place) in a country that it had a hand in governing virtually without break in Dutch post-war politics until 2010. In 2010, the CDA won just 21 seats in the lower house of the Dutch parliament, and it could win just 15 seats or less this time around. In Italy, the Democrazia Cristiana controlled the government (or participated in governing coalitions) for nearly 50 years of post-war Italian politics. The Tangentopoli (‘Bribesville’) scandal led to its demise under the weight of massive corruption allegations in 1992, and the remaining core of that party, the Unione dei Democratici Cristiani e di Centro (UDC, the Union of Christian and Centre Democrats), led by Pier Ferdinando Casini, plays a significant, but minor role in Italian politics today. Norway’s Christian Democratic Party, the Kristelig Folkeparti (KrF) once dominated Norwegian politics as well, but now holds just 10 out of 169 seats in the Norwegian parliament. In Bavaria, the Christlich-Soziale Union (CSU, Christian Social Union) has controlled Bavaria’s state government since 1957. It’s still the overwhelmingly largest party in Bavarian politics, but it lost 32 seats in the Landtag in 2008 and now holds just 92, and it looks likely to lose even more seats in the Bavarian state elections that must be held in 2013. In Switzerland, the Christlichdemokratische Volkspartei der Schweiz (CVP, Christian Democratic People’s Party of Switzerland) has steadily declined since the 1970s. Only in German federal politics does Christian democracy seem to be holding on — in the form of Angel Merkel’s Christlich Demokratische Union (CDU, Christian Democratic Union), which is allied at the federal level with Bavaria’s CSU. So what’s happened to Christian democracy? 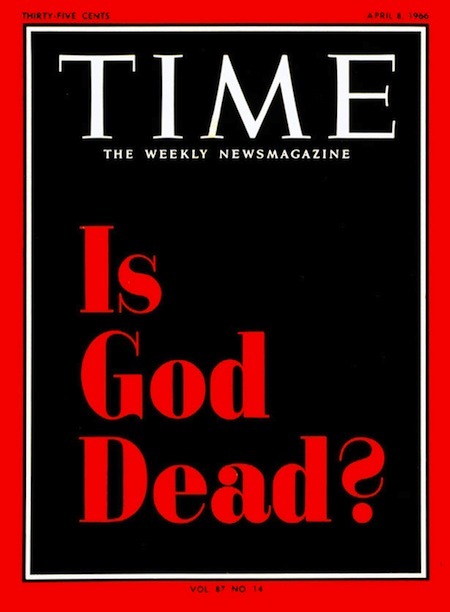 And is it a concept whose time is up? Christian democracy emerged as a political movement in the 19th century, as much as anything a reaction of the Catholic Church to the Industrial Revolution — and to the Marxist ideas that had so effectively challenged industrial capitalism in the mid-19th century, in the same way that the social democratic movement that gave voice to (and moderated) the growing labor movement. (Some political scientists see a parallel in the “justice and development” strand of moderate Islamist parties that have emerged in Turkey and through vehicles like the Muslim Brotherhood in Egypt and Jordan).